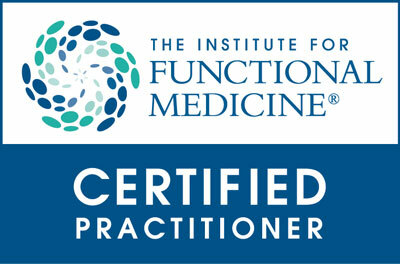 The PRP Facelift and PRP Facial (similar to the Vampire Facelift) have been sweeping the web. Have you considered getting an aesthetic treatment on your face? Procedures like Botox and surgical facelifts can have dramatic results. However, many of those treatments contain harsh chemicals. Before you risk a botched facelift or damage to your skin and face in the long run, try something more natural. Our natural aesthetic treatments are safe and effective – without the risks! See our list of natural cosmetic therapies here. We offer several facials along with medical aesthetic treatments like the PRP Facelift. These treatments get rid of dead skin cells and tighten pores – keeping your skin young and healthy. The PRP Facelift is particularly exciting – using our platelet-rich plasma technology. Maybe you have heard of the vampire suite of treatments, which use PRP therapy for facelifts and more. Beauty insiders and celebrities and rushing to try this treatment. If you still need a little convincing, here are four reasons to try our PRP FaceLift. Kim Kardashian West tried it. Back in 2013, the PRP facial got a ton of press when Kim Kardashian tried it on the show and posted about it. If it has been on Keeping Up With The Kardashians – it is worth trying. At least that is the motto of many beauty editors and fans. The Kardashian crew have access to some of the best new treatments, and their fans know this. When Kim tried the PRP facelift, she went without any numbing cream, because she was pregnant. While it is doable without it, we recommend topical numbing for this treatment. Your skin will look younger for 2-3 months. By stimulating collagen and elastin, the PRP facelift and facial improve youthfulness. Your skin will look firmer, skin-tone more even, and your skin more youthful. The PRP treatment utilizes recent advances in stem cell research to rejuvenate skin. Platelet-rich plasma kick-starts stem cells into action, increasing collagen and elastin. These two major scaffold skin proteins are responsible for repairing tissue. How does it work? PRP treatment takes a sample of blood and spins it in a centrifuge. This concentrates the sample and separates out the platelets and plasma. This next the sample is injected into the treatment area via micro-needling (Dermapen). Here, it repairs damaged and aging skin by rebuilding the tissue. Platelets also contain growth factors and proteins. Both of these are very important in the repair and regeneration of tissue. 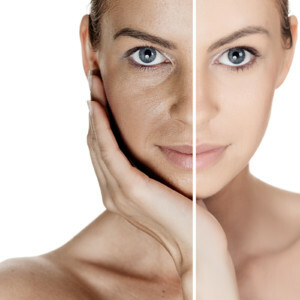 PRP accelerates rejuvenation by encouraging the growth of cells in the injected areas. Reduced acne scars, wrinkles, and other marks. Stem cells present in the skin contain growth factors which are activated by the PRP. These stem cells cause the development of new collagen. This, in turn, repairs and rejuvenates the skin. No chemicals, peels, or surgical instruments involved! Our filler gel works great for deep wrinkles and sagging skin to give the face a smoother look. Speak with our team to determine which services will best fit your needs. Remember, we recommend 2-3 initial treatments and then a yearly follow-up visit. One visit will make an improvement, but you will see optimal results from our plan. There are no side effects or downtime! The PRP Facelift and Filler often last longer than conventional, chemical fillers. Typically, our natural gel filler will last approximately 3-6 months on its own. When combined with our PRP treatment this prolongs the effect of the gel treatment. For more information on our natural facials and facelifts, browse our Skincare and Medical Aesthetics pages. Otherwise, you can contact us to ask questions and make an appointment!